The Hallowed Empire of Terraria has existed for many centuries. Until now the great wooden wall has kept the Corruption at bay, but the wall is weakening and as unrest among the citizens of Terraria grows as they begin to resent the weak and cruel leadership of the Hallowstone coucil, the Empire is the weakest it has ever been. You must help restore peace to the lands of Terraria, and under the Hallowed people's guidance, destroy the Corruption once and for all. But as your quests unravels, you discover the seemingly pure Hallow is not exactly what it seems. Do not break or place any blocks unless explicitly told to or to continue your progress if you have somehow made the map uncompletable. Do not craft anything unless you are told to do so. Other rules are included in the map, so read the signposts! Note: This map is quite text heavy with an emphasis on story and creating a living game world rather than just pure action. Please remember to leave feedback! Thank you for 2,000 downloads! Wow, 3,000 downloads! Thank you! Cheers to the community for over 4,000 downloads! A two player version of the map is now available, good luck. 5,000 downloads achieved, thanks to all who played through the map! Nobody reads this part, but still, thanks for 6,000+ downloads. Thank you. Nice to see someone still active around here. nice a sequel! i was always wondering what would happen on the surface after years in that little dirt shack. Thanks very much, it's really great to have your work appreciated! Also keep your eye out for the sequel which we are currently making. 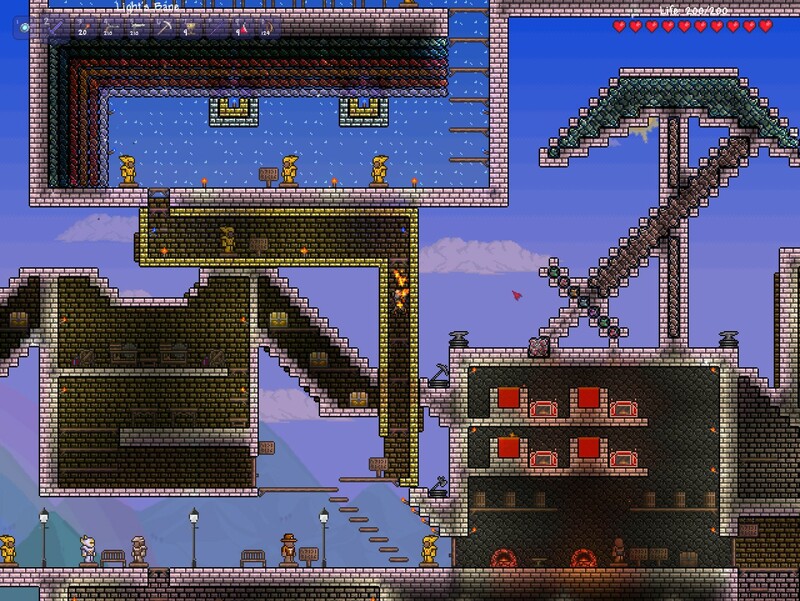 This was the greatest terraria adventure map i have played. in fact, i think the reason i think others are bad are because i keep comparing them to this! Nearly 2000 downloads! Thanks a lot guys, I really appreciate it. Me and Mearlite are currently working on a sequel which we hope will be a massive improvement on this map and we hope to have some kind of teaser trailer out soon. Once again thanks a lot for the downloads! Hey there MacMan, there is now a TerrariaOnline thread available if you want it at: http://www.terrariaonline.com/threads/the-anceint-spirits-of-light-and-darkness.85519/ Also if you do plan on doing a play-through of the map (which I hope you will), then I recommend that you wait for the next update of the map as the current version has some glitches and bugs. The new update is currently awaiting approval so it shouldn't be too long hopefully. I will create one soon. Btw I am currently working on an update to the map that will be out in a day or two. Does this map have a thread at TerrariaOnline? Please feel free to comment and give feedback!